Missouri Education Watchdog: A Teenager's Common Core Research Paper. Education is many things. It’s how we put together our lives one step at a time. 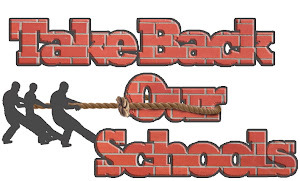 The Common Core Curriculum is changing the way we learn. Common core should not be allowed to take over our education. I have taken a lot of time researching for this topic, and I have found out who the people are, what the people who run this program do, what tools they use, and what other schools are doing that is better or worse, depending on your stand point. I may not know everything, but in these paragraphs you will find many websites and resources that can help you find out more so you can do something about it. Secondly, research has been done to find out what tools the common core gives students to use at school and at home. The textbook company Pearson is a major contributor to common core. Pearson bought almost all the other textbook companies and kept the names so that people don’t know about it. 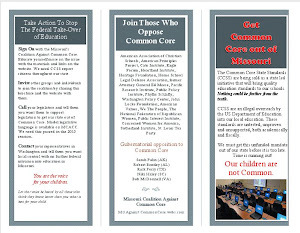 Joy Pullman of the Heartland Institute discovered a report by the Department of Education saying: “Common Core’s data mining includes ‘using cameras to judge facial expressions, an electronic seat that judges posture, a pressure-sensitive computer mouse, and a biometric wrap on kids’ wrists.’ ” The NJ ask kids have to take every year doesn’t evaluate the students; it judges the teachers on if they are teaching using the common core standards. If a teacher’s scores don’t go up within 2 years, they get fired. Then a common core teacher comes in to take their place. Furthermore, there are websites that show what other schools are doing that may be better or worse depending on your standpoint on this whole thing. If you go to http://www.businessinsider.com/finlands-education-system-best-in-world-2012-11?op=1, you can see that Finland has the best unorthodox educational system in the world. There is no exams or homework until kids are 16, no video cameras, and most importantly, no common core. 93% of Finns graduate from high school, and 66% of students go to college. Only 4-5 hours of school, and only one of those hours are spent in a classroom. In Finland kids get 75 minutes of recess, whereas the U.S. only gives students 25 minutes. 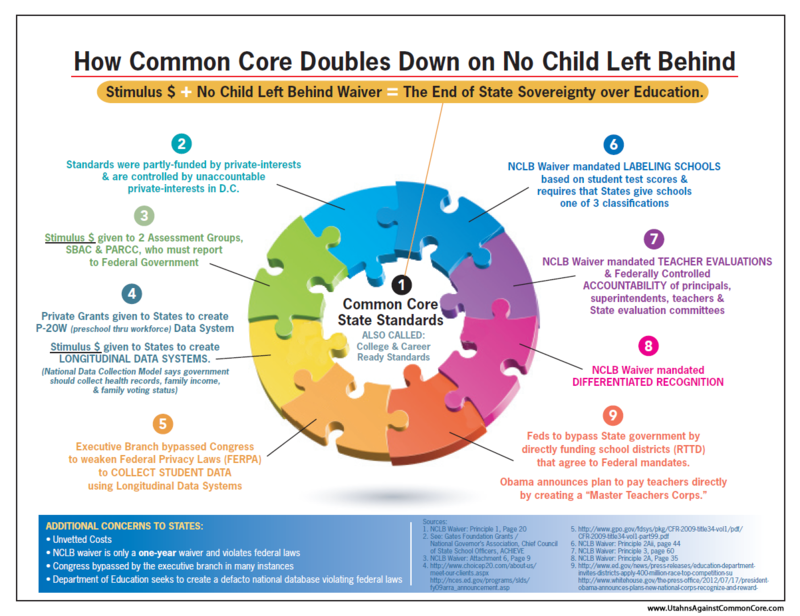 While I was researching, I went to a particular website: http://townhall.com/columnists/rachelalexander/2013/03/18/common-core-whats-hidden-behind-the-language-n1537017/page/full. The website had a list of comments that people made. There was one that really struck my curiosity. It said “Stephanie Bell said "Every child is created, and I thank the Lord for this, we’re all created different,” Oh No! The left will go nuts. You never never never mention the Lord! The State is your master! Are you a teacher? Do you not understand that CCSS is only part of the equation? That the state selects the textbook, and the districts often write the curriculum? We are told that we should all be teaching the same thing at the same time. Perhaps CCSS in itself does not do these things, but the states and districts that are implementing them surely do.” This goes back to my comment on your standpoint of this controversial problem. People who are pro-common core will say things like this. In conclusion, you now know what really goes on in your kids’ schools. Common core should never have been placed in our schools. It takes over using fancy gadgets and a sweet, sugarcoated-cover and then bam! We’re all brainwashed slaves for the government to use at our expense. To learn more go on to Facebook and other sites and if you search correctly you will find a ton of people who know more than most do on this topic. There are loads more to learn. And the more you learn and the faster you learn it, the better it will be for everyone because you can start to do something about it. Would David Coleman like to respond to this young woman's concerns about Common Core? After all, she is the one being taught via CCSS and has questions about the intent, process and outcome of this educational reform of which Coleman is considered the "chief architect". Since the mandates are coming from the Chief Council of State School Officers (CCSSO) and the principal or superintendent have little say in the educational framework, Coleman should be the spokesperson for these copyrighted standards and their goals.